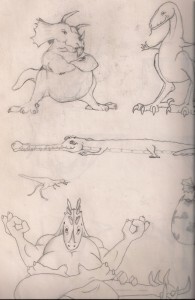 **A character sketch for Dinodrop, the game design that inspired the Venture series** Don't throw away your old game designs. 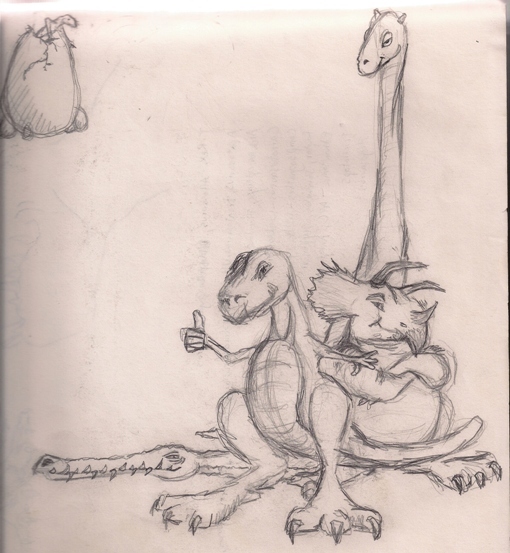 This is the story of how Dinosauria came to be. In fact, the entire Venture series was born in a dorm room in 1998, and has been percolating in my head all these years. I also owe thanks to Tom Wexler (now an Assistant Professor of Computer Science at Denison University), who was my game design collaborator back then, and has never been properly thanked for helping to develop many of the ideas that form the basis of the Venture series today. It has always been my dream to start a game development company. I was already programming when I was 8 and in junior high I finished my first game, a multiplayer top-down arena combat game with magicians and skeletons. Next, I made a Warlords clone with randomized maps called Servants of Darkness. I wish this game was still functional, my family used to gather around and play against one another all afternoon. Flush with success on my first couple of games, I started building bigger and better games while developing a bigger and better ego about my game development abilities. I started thinking about actually trying to sell my games. As usual when money becomes involved, this is when things went bad. By the time I went to college (1996), games weren't made by one guy in his garage anymore. I made a friend in Tom Wexler, a brilliant Math major who shared my interest in making games. We started work on a game called VOID. Between game development, ultimate frisbee, and sleep, my schoolwork and prospects for summer jobs fell through. This game was XCOM-ish with a more real-time approach to the tactical battles. I took a summer off from working (actually I failed to get re-hired at my job making games for one of the earliest internet game portals in 1997) and tried to finish the game, but I just wasn't mature enough then to have the work ethic necessary for commercial game development. When I realized that the project was too big and my motivation to finish it too meager, I told Tom that I couldn't continue and that we were going to have to shelve it. 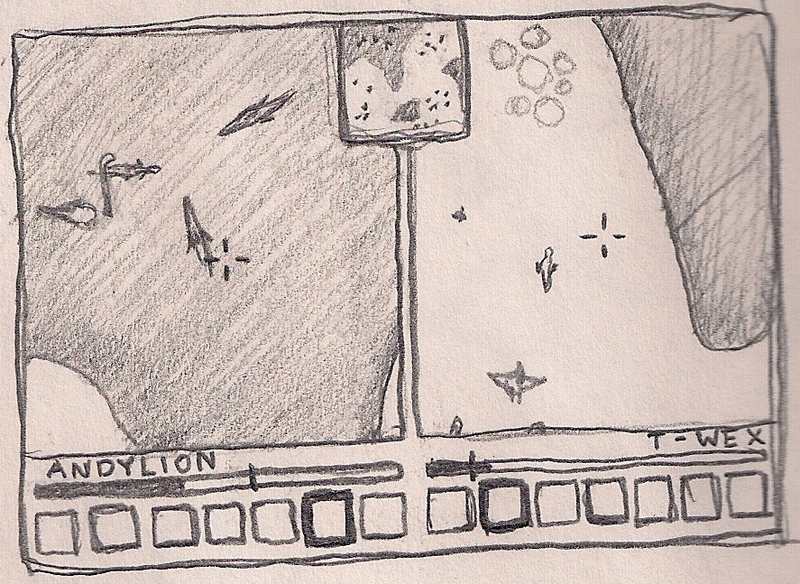 The original sketch of Dinodrop, a 2-player same-screen RTS His idea was that we stop trying to "start a company" and start just trying to finish a small, casual game. So we started working on a little game called DinoDrop. 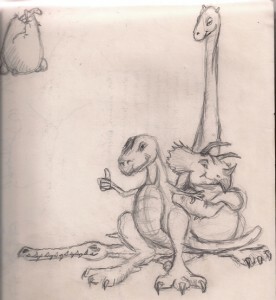 Dinodrop was a split screen, multiplayer game, in which you battled for territory by dropping dinosaur eggs onto a map. When those eggs hatched, they would become autonomous dinosaurs, hopefully behaving in such a way that would allow you to take over your opponent's lands. Unfortunately, we never finished this one either. The idea sat there, nagging me, like the last little black space on the Warcraft map covered by the fog of war. My academic focus in college had always been in Artificial Intelligence, and I continued to be really interested in this idea of autonomous creatures which the player could influence, but not control. These thoughts continued to grow with a Machine Learning course I took at UMass. Each student had to program an AI to compete in a checkers tournament every night. The trick was, you could teach your AI HOW TO LEARN strategies, but you could not teach them the strategies of checkers directly. They had to learn them on their own. So during the day, we trained our AIs against themselves, and at night they would play in the tournament. My thoughts on autonomous AI games continued after college as well. My first job out of college was for a "viral" marketing company called e-tractions. 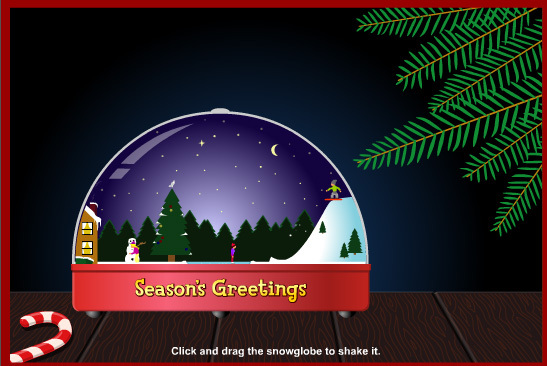 There I built a Christmas Snowglobe in 2000 as a corporate greeting card. Little people inside the snowglobe would walk around doing wintery things. But you could pick it up with your mouse and shake it, with the little people screaming and bouncing around inside. 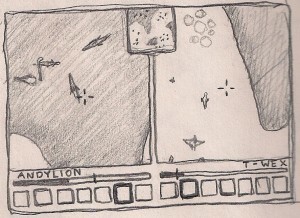 At my various console game development jobs between then and starting Pocketwatch, I continued to play with these ideas, implementing dynamic bird flocking behaviours in a Medal of Honor game, and another autonomous pirate monkey game that was the brainchild of Justin Chin (famous for designing the game Jedi Knight). I eventually left the world of AAA game development to start Pocketwatch and the Venture series. I've been dieing to make Venture Dinosauria for years now. But I never felt like the Torque engine was up to the task of rendering dense forests. So I started with Africa, which is pretty sparse, then went to the Arctic, which is even more sparse. There are plenty of other ideas in the hopper, but I always intended on doing these three environments first. Finally, the tech has caught up to my dreams. Forests can be lush, dinosaurs can be shiny and mean: It's finally time to make this game. I can't wait for y'all to play it.